Paramount, CA – Paramount Unified’s new Odyssey STEM Academy has solidified a partnership with AltSchool, an education and technology organization that personalizes learning through teacher-built and student-driven online platforms. 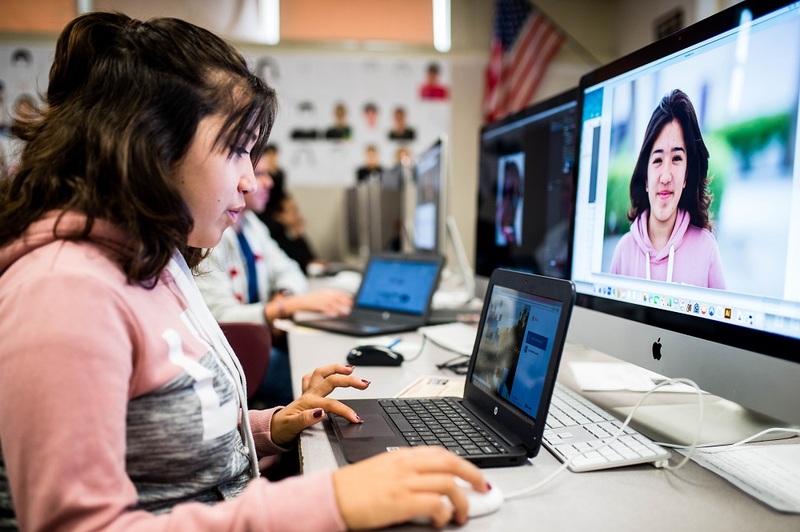 Odyssey STEM Academy, a Lakewood high school launching in fall with a focus on science, technology, engineering and mathematics (STEM) curriculum, will open to a freshman class of 150 students who will have access to the AltSchool software system. The system will feature lesson plans tailored to each student, long- and short-term academic goal planning and easy access for parents and teachers to communicate. Through the comprehensive partnership, Odyssey educators will receive platform support and training. Students will be able to use the AltSchool platform from any device and location, allowing for streamlined access to daily lesson plans, assignments and teacher feedback. Odyssey students also can set and manage personal academic goals and document their learning experiences. Educators and administrators will be able to track student progress and correspond directly with parents. Odyssey joins AltSchool’s network of 10 partner schools, including public and private school districts. “We’re excited to welcome Odyssey STEM Academy as a new partner school into the AltSchool network to help fulfill our mission of making the best education, through thoughtful integration of today’s technology, the most available,” said Max Ventilla, founder and CEO of AltSchool. Odyssey will offer an engineering and biomedical pathway through Project Lead The Way, the nation’s leading provider of STEM curriculum, and use project-based learning to teach students to identify and solve real-world problems. Freshmen were selected on Feb. 12 through a lottery, with families living within the District boundaries receiving priority. Odyssey will add a grade level each year until achieving full enrollment at 600 students, fewer than Paramount’s other high schools. 041218_PARAMOUNT_ALTSCHOOL: Paramount Unified’s new Odyssey STEM Academy has solidified a partnership with education and technology organization AltSchool. The system will feature lesson plans tailored to each student, long- and short-term academic goal planning and easy access for parents and teachers to communicate. Paramount Unified’s new Odyssey STEM Academy has solidified a partnership with education and technology organization AltSchool. The system will feature lesson plans tailored to each student, long- and short-term academic goal planning and easy access for parents and teachers to communicate.